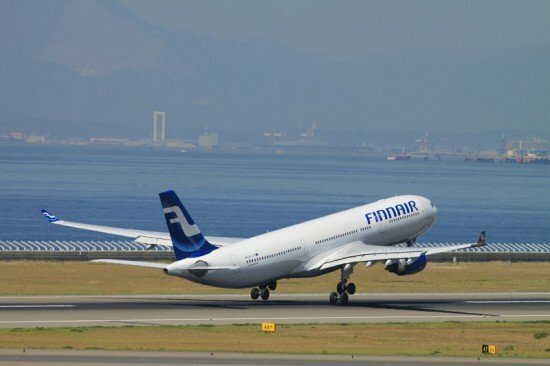 The Safety Investigation Authority, Finland published the final report of their investigation into two serious incidents involving Airbus A330 engine bleed air system failures. The first serious incident occurred on 11 December 2010, approximately 300 km northeast of the city of Arkhangelsk,. Russia. The aircraft, registration OH-LTO, was on a flight from Osaka, Japan to Helsinki-Vantaa Airport. Apart from the three crew members in the cockpit, the aircraft was empty. The second serious incident occurred south of Moscow on 22 December 2010. The aircraft, registration OH-LTS, was on a scheduled chartered flight from Krabi, Thailand to Helsinki-Vantaa Airport. There were 286 passengers and 15 crew members onboard. Both aircraft experienced a loss of pressurisation due to dual engine bleed air system failures. The flight crews donned their emergency oxygen masks because of the decrease of cabin pressure. On OH-LTO the cabin emergency oxygen masks also deployed automatically. OH-LTO flight crew initiated an emergency descent from cruise level about five minutes after the loss of pressurisation and about two minutes after the excessive cabin altitude warning which is a master warning. OH-LTO diverted to Kuopio, its alternate aerodrome. OH-LTS flight crew initiated a rapid descent from cruise level about two minutes after the loss of pressurisation. Excessive cabin altitude warning came on during the descent after which the flight crew continued by an emergency descent. OH-LTS continued to Helsinki-Vantaa airport, its planned destination. Neither serious incident resulted in injuries to persons or damage to equipment. Both serious incidents were caused by malfunctioning of the engines’ bleed regulated pressure transducers’ (Pr). The malfunctioning was caused by freezing of water that had accumulated in the bleed regulated pressure transducers’ pressure cell rooms, extremely confined by design. This being the case, the transducers provided faulty pressure information to bleed monitoring computers. Due to the erroneous information the computers closed both engines’ bleed air systems which resulted loss of pressurisation in cabin, i.e. an increase in cabin air pressure altitude. The extremely cold air mass enroute during a long time period contributed to the fact that the water froze in the pressure cell rooms. Furthermore, the relatively rapidly increasing ambient temperatures enroute may have contributed to the engine’s bleed air system faults. 2) require that Airbus S.A.S. also include Dual Bleed Loss abnormal procedures in the A330 electronic centralized aircraft monitor action. 3) sufficiently lengthen the time recording capacity of cockpit voice recorders so as to cover the entire routing of the flight. 4) improve the procedures of promulgating its operational bulletins by distributing them via communications channels intended for operational divisions.